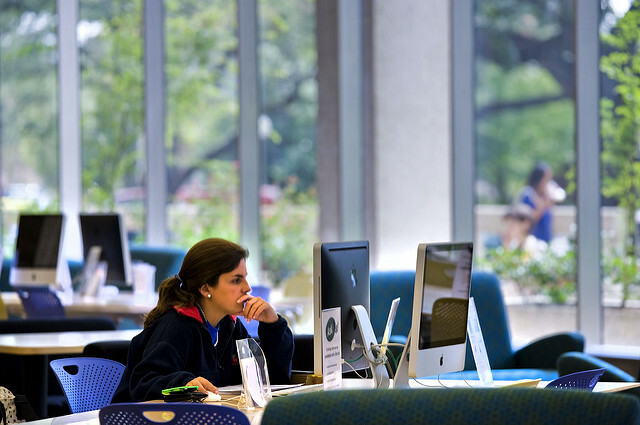 The library has over 900 seats, including collaborative space, quiet study spaces to work alone, and semi-quiet spaces for students to work alongside other students. 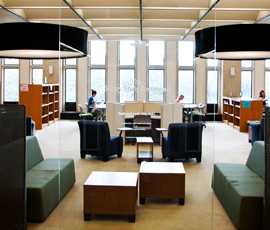 Furniture options include tables, study carrels, chairs, sofas, and computer stations. Find your spot. Collaborative work spaces on the 1st floor. The Check-out Desk, Technology Desk, and Research Help Desk are located in the Learning Commons. In this part of the library, talking is expected and encouraged. Quiet study space with comfortable furniture and power outlets on the 3rd floor. 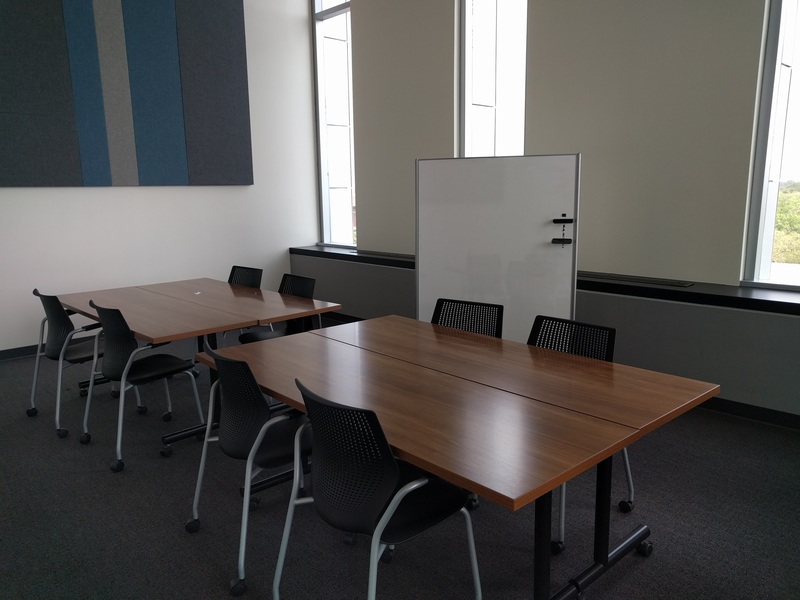 Information about group study rooms in Howard-Tilton Library. There are group study rooms on the 1st floor, 4th floor, 5th floor, and 6th floor.